The best laptops have to do it all. They need to be light, portable, powerful, beautiful, and reasonably affordable. Choosing one of them isn’t easy though, as there are a handful of fantastic options that fulfill all or most of those, depending on your needs. Below you’ll find our picks for best overall laptop, as well as the best MacBook for Apple die-hards, the best Chromebook for those who desire an affordable laptop with a super-light OS, and the best budget laptops. We’ve also selected the best 15-inch laptop, best 2-in-1, and the best gaming laptop. Dell’s XPS 13 has a great look that blends a metallic exterior with a white woven-fiberglass interior. It feels premium, yet inviting — the kind of cool new toy you’ll be itching to show off to anyone willing to look. The super-thin InfinityEdge bezel is another highlight of the design. Although a lot of laptops have copied it, the XPS 13 did it first and did it best with less than a quarter of an inch around each side. It’s as functional as it is beautiful, making the overall footprint of the system smaller and lighter. Does that make the XPS 13 too small? Nope. The touchpad is as large as the competition and the keyboard is a breeze to use. The system is also energy efficient with a respectable battery size, so it can last all day on a charge in most situations and handle pretty much anything you throw at it. The only bit we’re not so fond of is the webcam. The bezels are so thin there’s no room for it, so it’s below the display, rather than above. That makes for an awkward angle, though it’s becoming an increasingly common feature of bezel-less laptops like the Huawei Matebook X Pro. The two models we tested, the i5 and i7 versions, start at $1,000 and $1,350 respectively. Both feature 8th-generation processors, alongside a selection of solid state drives and up to 16GB of RAM. If you want to opt for something cheaper, you can still purchase the 7th-gen version Core i3 model, which starts at just $750. The MacBook Pro is a beautiful laptop, but it has a few controversial features (such as the Touch Bar) and downright missteps (the faulty keyboard). That’s why the best we could do was recommend the non-Touch Bar version to Mac lovers looking for the best value. 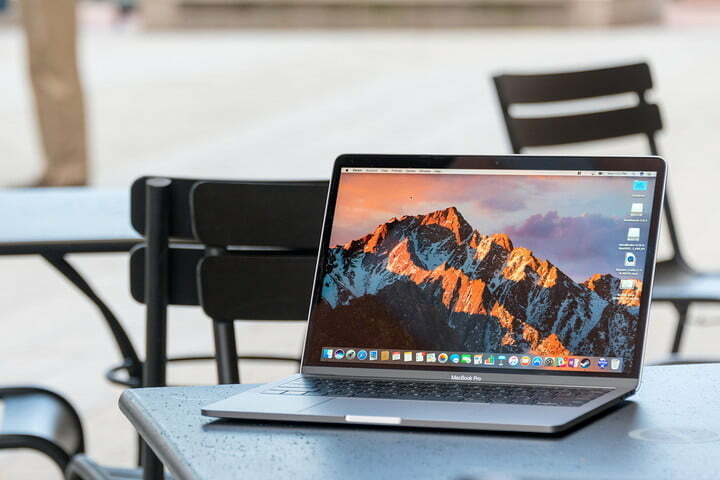 Things were complicated recently, though, as Apple launched its 2018 MacBook Pro refresh that highlights the addition of Intel’s latest quad-core and six-core 8th-generation CPUs. The problem: Only MacBook Pros with Touch Bar are included this time around, and the MacBook Pro 13 without Touch Bar was relegated to old processors. That means Apple is sticking with 7th-generation Intel Core processors for the entry-level model, not even packing in the quad-core version that provides a real boost in performance. Aside from build quality and industrial design, Apple does justify its high prices with customer service. The company tends to cover defective hardware that other manufacturers might refuse to service, and you can take your Mac to any Apple Store if you need help. Given the MacBook Pro’s robust build, and reputation for longevity, it’s a nice safety net to have — especially when your Mac gets old and you end up losing your warranty paperwork. Even when there’s a serious issue like the MacBook Pro’s keyboard, Apple usually gets around to offering free repairs or replacements. We stand by our recommendation of the non-Touch Bar MacBook Pro, while lamenting the fact that Apple left it out in the cold. Maybe the company will release its MacBook Air redesign and give us another option to recommend. 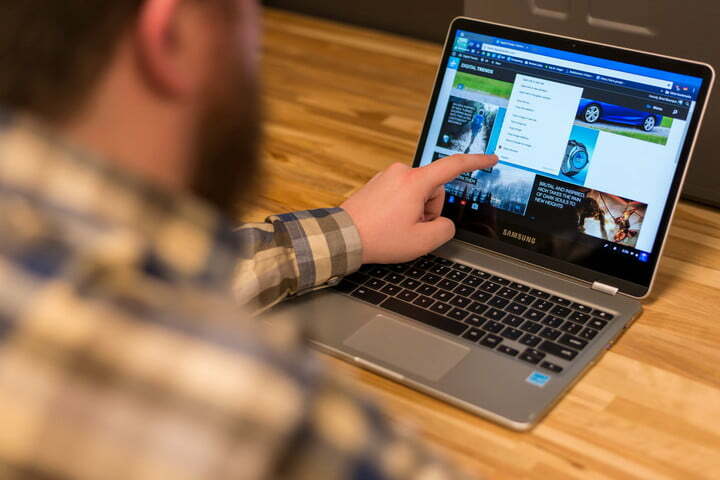 Chrome OS, which is designed around Google’s Chrome web browser, is wonderfully simple and intuitive. While it used to only run extensions and web apps, that has been expanded to now include everything in the Google Play Store. That means all the games, apps, and services available on your Android smartphone, are now available on Chromebooks like the Samsung Chromebook Pro. While Chrome OS still doesn’t take full advantage of the Chromebook Pro in tablet mode, it’s getting better. No matter which configuration you choose, you get the 7th-generation Kaby Lake processor under the hood — our review unit was one of these top-spec machines. While that was a capable processor in its day, it’s been superseded by Intel’s 8th-generation processors that have made their way to other tablets. 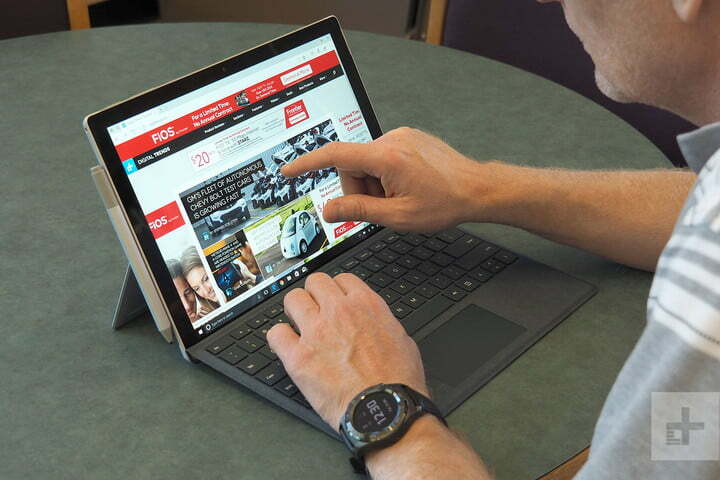 Even so, the Surface Pro performed well enough in our benchmarks for typical productivity tasks, and it remains excellent as an everyday workhorse. It’s quick, snappy, and versatile, everything you could want out of an ultra-portable laptop — plus it’s the best tablet around when you need it to be. The smaller, $400 Surface Go has arrived, while rumors point toward a redesigned version of the Surface Pro coming in 2019 and an 8th-gen CPU update later this fall. If you don’t want to pay the full price of a laptop like the Del XPS 13, then we suggest the Asus ZenBook UX330UA, another ultrabook that received our coveted Editor’s Choice award. The ZenBook isn’t as powerful as the Dell XPS 13, and it doesn’t emulate the Dell’s strikingly thin bezels. But otherwise, it’s a powerful machine, worthy of our best laptops list. And its value is incredible. The base model, which is routinely priced at $750 on Amazon, has an 8th-generation Intel Core i5 processor, 8GB of RAM, and a 256GB solid-state drive. That’s twice the memory and storage of the $800 Dell XPS 13 — and better battery life than what you’ll find in other competitors. Though you can still buy the UX330UA on Amazon, Asus has followed it up with the UX331UA, which has thinner bezels, a lighter chassis, and improved battery life. If you want the best gaming performance on a laptop, look no further than the newest Alienware 17. 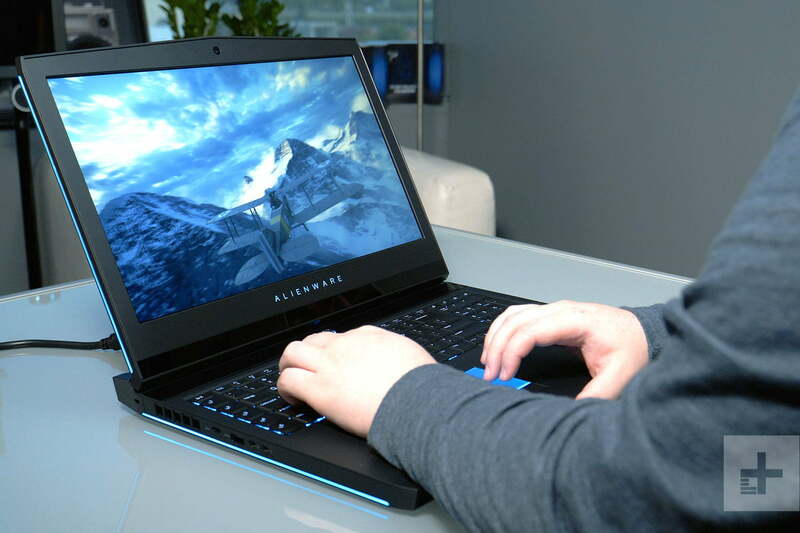 Among the first laptops on the market to feature a six-core Intel Core i9 processor, the Alienware 17 also has an Nvidia GTX 1080 graphics card and up to 32GB of RAM. It’s probably the most powerful laptop we’ve tested to date. With a GTX 1080 graphics card and that monster of a processor, which is unlocked and overclock-ready, the Alienware 17 R5 made short work of just about everything we threw at it. You can run just about anything at just about any resolution. The display tops out at 1440p, but it has a refresh rate of 120Hz, so your gameplay is impossibly smooth. The design is definitely one you’ve seen before if you’ve ever laid your eyes on an Alienware laptop, but it still works and the build quality is as excellent as ever. The Razer Blade might look be a more elegant laptop, but for pure performance, the Alienware 17 R5 is the machine you want. Who’s it for: Power users, and those who want a big, beautiful display. Fortunately, Dell also has the XPS 15. 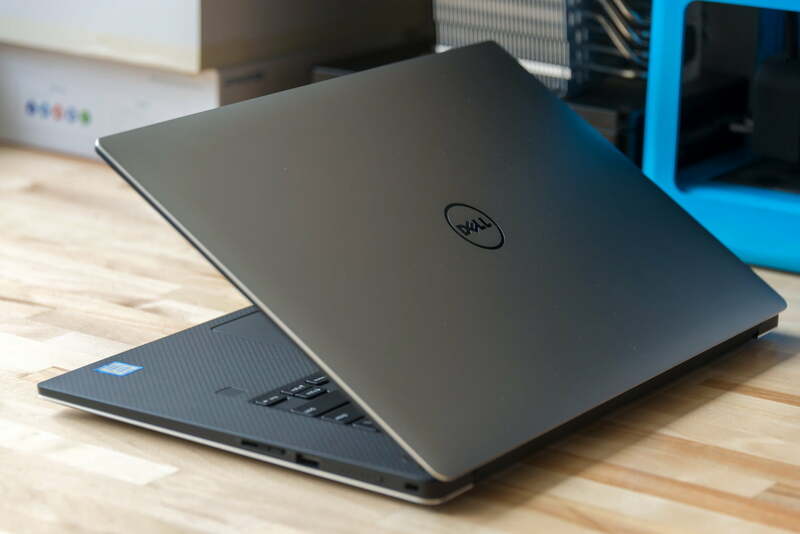 It’s great for all the same reasons as the XPS 13, and because it’s larger, it can be optioned with the fastest hardware available today — up to a blazing-fast six-core 8th-gen Intel Core i9-8950HK processor, Nvidia GeForce GTX 1050 Ti graphics, and a 4K display. It’s easily the best all-around 15-inch laptop on the market today. The XPS 15 was recently refreshed with the fastest 8th-gen processors, as well as with a more powerful GTX 1050 Ti in the higher-end configurations. Published on Wed, 27 Mar 2019 13:00:56 GMT, © All rights reserved by the publisher.